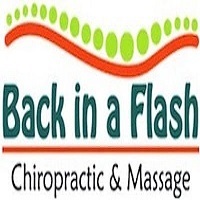 Established in 2011, Back in a Flash Chiropractic & Massage has been serving the Downtown Denver area for 7 years. Developed with one goal in mind: give our client high-quality wellness services, such as chiropractic care, massage therapy, sensory deprivation tank therapy, & more at an affordable price. At Back In A Flash Chiropractic & Massage, we believe everyone should have the privilege to receive chiropractic care, massage, and other wellness services, therefore insurance is not required. We take walk-ins during our extended business hours. Our top quality service will keep you coming back. Come on in and support a local Denver business.